Woody and Buzz are at it again! 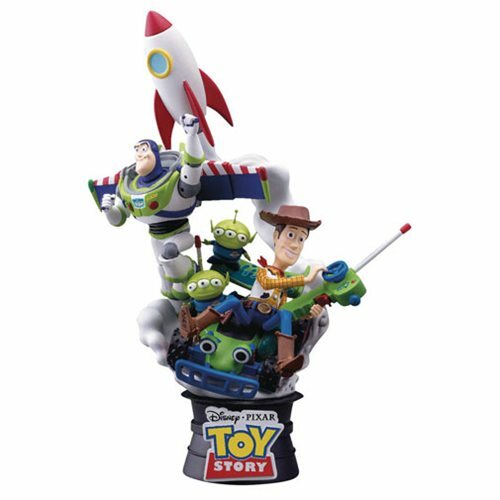 This Previews Exclusive Toy Story D-Select Series DS-007 6-Inch Statue depicts Woody maneuvering a remote control car, with Squeeze Toy Aliens and Buzz Lightyear ready to launch into space. Exquisite details to all figures make these characters come to life, complete with expressions and postures. Coupled with vibrant painting, this diorama features the perfect integration between the setting and the characters to create yet another tale for this beloved cast from Toy Story!